My daughter has KCNQ5, it’s a rare genetic disorder that causes seizures, hypotonia, developmental delays, non verbal and cortical vision impairment. My daughter doesn’t walk yet and we struggle to find ways to get out and about. 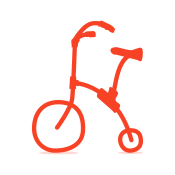 We’d love this bike to hit the trails and get active as a family. Thank you for all the love and support! Maddie is so grateful to have so many in her corner. 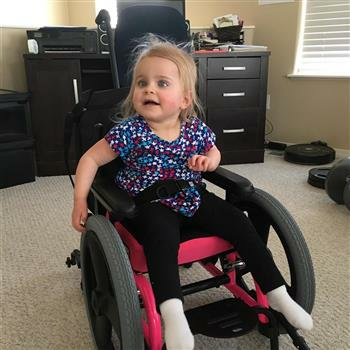 Maddie greatly appreciates everyone voting for her to win this wonderful adaptive bike! The outdoor's should be accessible to anyone. Happy biking Maddie! good luck Maddie-I hope you get one! Hope Maddie wins the bike!